1. 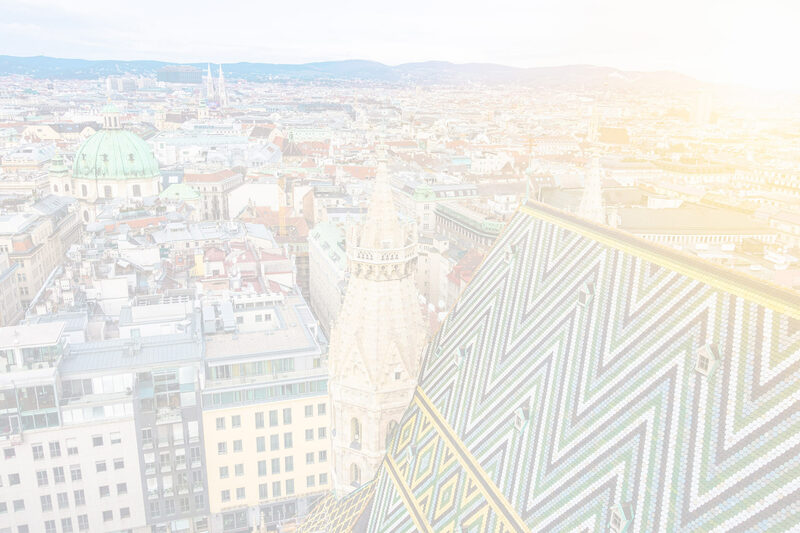 These General Terms and Conditions (hereinafter referred to as “GTC”) shall apply to guests of Hotel am Stephansplatz Betriebsgesellschaft m.b.H., Stephansplatz 9, 1010 Vienna, Phone: +43 1 534 05-0, Fax: +43 1 534 05-710, E-mail: direktion@hotelamstephansplatz.at, Business Register Number 59768w of Commercial Court Vienna (hereinafter referred to as “Hotel”) and shall refer to all accommodation contracts and all other services and deliveries provided to the guest by the Hotel. 2. The Hotel shall conclude all contracts exclusively on the basis of these GTC. Deviating terms and conditions, even if they are included in general terms and conditions of the guest or agent, shall not apply unless they are expressly accepted by the Hotel. For this purpose exclusively a written approval from the Hotel which has been signed by persons who are authorised to represent the Hotel under business law shall constitute acceptance. 1. “Accommodation” shall mean letting of hotel rooms by the Hotel to a guest. The right to sublet or relet or use the rooms for purposes other than accommodation shall be excluded. 2. “Accommodation Contract” shall mean the contract on accommodation which is concluded between a guest and the Hotel, which shall be based on the present General Terms and Conditions. 3. “Reservation” shall mean a request made by a guest or a third party for conclusion of an Accommodation Contract with the Hotel. 4. “Agent” shall mean any guest or third party (natural person) who makes a Reservation for a guest or, if applicable, for an enterprise. 5. “Guest” shall mean any natural person who makes use of the Hotel’s accommodation services. Guests shall also include those persons who travel together with the Guest (e.g. family, friends, etc.). 6. “Rented Rooms” shall mean the rooms which the Hotel makes exclusively available to the Guest for rent. 7. “Booked Rooms” shall mean the hotel rooms booked by the Guest and allocated by the Hotel, which shall become Rented Rooms as of the time they are made available by the Hotel. 8. “Consumer”, “Entrepreneur”: these terms shall be interpreted in accordance with the Austrian Consumer Protection Act [Konsumentenschutzgesetz] of 1979 as amended. 9. “Force Majeure” shall mean any external, extraordinary and unforeseeable event which cannot even be prevented by utmost care of the party affected. This shall include but not be limited to fire, storm, earthquake, strike, road traffic accidents, wars, kidnapping/taking of hostages, acts of God. 1. An Accommodation Contract shall be concluded by the Hotel’s express acceptance of the Guest’s Reservation. Electronic communications shall be deemed received by the Guest if the Guest is able to retrieve them under ordinary circumstances and if the Hotel is able to retrieve them during the business hours advised. 2. The parties to the contract shall be the Hotel and the Guest. If a third party makes the Reservation for the Guest, s/he, as the Agent, shall be liable jointly and severally with the Guest vis-à-vis the Hotel for all obligations under the Contract if the Hotel holds a statement from the Agent to this effect. Independent thereof every Agent shall be obliged to forward all information which is relevant to the booking, in particular these GTC, to the Guest. In the case of non-compliance with this provision, the Agent shall be liable vis-à-vis the Hotel for all detrimental consequences resulting therefrom. 3. (a) The Hotel shall be entitled to conclude the Accommodation Contract on condition of a down payment. In that case the Hotel shall be obliged to inform the Guest of the down payment requested prior to accepting the written or oral Reservation of the Guest. If the Guest agrees to the down payment orally or in writing, the Accommodation Contract shall be concluded upon receipt by the Hotel of the Guest’s agreement to the down payment. If the Accommodation Contract was concluded on condition of a down payment, the Guest shall be obliged to make the down payment within seven (7) days (the date of receipt being relevant) prior to commencement of accommodation. The down payment shall be an instalment of the agreed consideration. 3. (b) If the Guest has not arrived by 6 p.m. at the agreed arrival date, the Hotel shall only be obliged to provide accommodation if a later arrival time was expressly agreed. 3. (c) If the Guest made a down payment in time, the rooms shall be kept available until noon of the day following the agreed arrival date. 4. The Hotel shall be free to reject Reservations, even without having to state reasons. 1. The Guest shall acquire no right to be given specific Rented Rooms unless the Hotel has confirmed provision of specific rooms in writing. 2. The Hotel shall determine the time as of which the Rooms rented by the Guest will be available. If the Accommodation Contract provides for no specific time as of which the Rooms will be ready, the Guest shall be allowed to use the Rented Room(s) as of 2 p.m. on the agreed arrival date. The Guest shall have no claim to earlier availability of the Room(s). 3. If the Guest uses the Room for the first time before 6 a.m., the previous night shall be counted as an overnight stay to be paid for. 4. The Guest shall use reserved Rooms by 6 p.m. on the agreed arrival date. Unless a later arrival time was expressly agreed, the Hotel shall, after 6 p.m., be entitled to let booked Rooms otherwise, without the Guest being entitled to any claims for compensation on that ground. Insofar the Hotel shall have a right of rescission. 5. On the day of departure the Guest shall check out of and make available to the Hotel the Rooms rented by noon. If the Guest fails to check out of the Room(s) in time, the Hotel shall be entitled to invoice the day room rate for additional use of the Room and from 6 p.m. the full applicable rate for accommodation. 1. The Hotel shall be obliged to keep available the Rooms rented by the Guest in accordance with these GTC and to provide the agreed services. 2. The Guest shall be obliged to pay the applicable or agreed rates of the Hotel for provision of Rooms and the other services used by him/her as laid down in the Accommodation Contract concluded. This shall also apply to services caused by the Guest or Agent and expenses incurred by the Hotel vis-à-vis third parties. 3. The agreed rates shall be inclusive of statutory value-added tax. 4. If the period between conclusion and performance of the contract exceeds four (4) months and if the rate generally calculated by the Hotel for such services is increased or reduced, the Hotel may raise or reduce the contractually agreed rate reasonably, but by not more than 10%. 5. The Hotel shall also be entitled to change the rates if the Guest makes subsequent change requests regarding the number of Rooms booked, the Hotel services or the period of his/her stay and the Hotel agrees to such change(s) in writing. 6. Invoices issued by the Hotel shall be due for payment immediately upon receipt at the time of departure from the Hotel without any deduction. If a different payment period has been agreed, the Guest shall be in default of payment if s/he fails to pay the invoice within 30 days of receipt or by the due date stated on the invoice (with the time of receipt of payment being relevant). In the case of default of payment Hotel am Stephansplatz shall be entitled to charge consumers default interest at a rate of 5% p.a. The default interest charged to entrepreneurs is 8% above the base interest rate. 7. In the event of default of payment the Guest shall, in addition to default interest, also pay dunning charges of EUR 5 per reminder. 8. In addition, the Hotel shall be entitled to demand immediate payment of accounts receivable that have accrued during the Guest’s stay at the Hotel, by issuing an interim invoice. 1. If an Accommodation Contract was concluded on the condition of a down payment by the Guest and if the Guest failed to make the down payment in time, the Hotel may rescind the Accommodation Contract without having to grant a grace period. • if insolvency proceedings were opened over the Guest’s assets or if opening of such proceedings was dismissed for lack of assets to cover the costs or other reasons. • If a Guest cancels his/her booking, the Hotel shall be entitled to claim reasonable compensation. • The terms and conditions of cancellation are stated individually in the relevant Accommodation Contract. • A Guest who makes no use of the Room or services booked without notifying the Hotel thereof in time shall have to pay the full contractually agreed price. • If in the Accommodation Contract the Hotel granted the Guest an option to rescind the Contract within a specific period with no further legal consequences, the Hotel shall have no right to compensation. Receipt of the rescission notice by the Hotel shall be relevant with respect to timeliness of rescission. The Guest shall have to declare rescission in writing. – during the last week prior to the arrival date: 90% of the total consideration agreed. The statutory provisions on rescission which are applicable in the case that the Accommodation Contract is concluded by way of distance selling as defined by the Austrian Consumer Protection Act shall not be affected by the above provisions. 2. The Hotel shall inform the Guest in writing about the right of rescission at the time of conclusion of the Accommodation Contract. 3. In the cases of rescission listed above the Guest shall have no claim for damages. If the Guest is unable to arrive at the hotel at the arrival date for reasons for which the Guest is not responsible, the Guest shall not be obliged to pay the agreed rate for the days of his/her travel to the Hotel. Such reasons shall exclusively be events of force majeure. The obligation to pay the consideration for the booked stay shall restart as soon as travel becomes possible again, provided that arrival will be possible within three (3) days. 1. The Hotel shall be entitled to provide the Guest with adequate substitute accommodation (of equal or similar quality) for objectively justified reasons, provided that this can be asked of the Guest, in particular if the difference is minor and objectively justified. 2. Objectively justified reasons shall include but not be limited to situations where the Booked Rooms have become unusable; where Guests who already stay at the Hotel extend their stay; where the Hotel is overbooked; or where other important operational measures so require. 3. Additional expenses for substitute accommodation, if any, shall be borne by the Hotel. By conclusion of an Accommodation Contract the Guest shall acquire a right to ordinary use of the Rooms rented, of the other rooms of the Hotel which are accessible and open to public use as well as to locally customary waiting. The Guest shall exercise his/her rights in compliance with the Hotel Rules and/or Guest Rules (House Rules), if any, and in doing so shall safeguard the structure of the Hotel premises to the greatest extent and be considerate towards the other Guests. 1. The Guest shall be obliged to pay the agreed consideration plus additional amounts, if any, incurred in connection with separate services used by him/her and/or the Guests accompanying him/her, plus statutory value-added tax, not later than at the time of departure. 2. The Hotel shall not be obliged to accept foreign currencies. If the Hotel expressly accepts foreign currencies, they shall be accepted as payment at the current rate to the extent possible. If the Hotel accepts foreign currencies or non-cash means of payment, the Guest shall bear any and all related costs, such as costs of inquiries to credit card companies, of telegrams, etc. 3. The Guest shall be liable towards the Hotel for any damage caused by him/her or other persons who accept services of the Hotel with the knowledge or intent of the Guest. 1. If the Guest refuses to pay or is in default of payment of the agreed consideration, the Hotel shall have a statutory right of retention as defined in Section 970c of the Austrian Civil Code [ABGB] and the legal right of lien in accordance with Section 1101 ABGB on the items brought by the Guest. The Hotel shall have such a right of retention or lien also for the purpose of securing the account receivable from the Accommodation Contract, in particular for meals, other expenses incurred on behalf of the Guest and for claims for compensation related to accommodation. 2. If the Guest requests room service or service at extraordinary times of day or night (after 8 p.m. and before 6 a.m.) the Hotel shall be entitled to invoice an extra charge. The Hotel shall make known such extra charge on the rate list in the room. The Hotel may also refuse to provide such services for operational reasons. 1. Pursuant to Sections 970 to 970c ABGB the Hotel shall be liable for items brought by the Guest. The Hotel shall only be liable if the items were handed over to the Hotel or persons authorised by the Hotel or taken to a place advised by the same or designated for that purpose. If the Hotel is unable to furnish proof, the Hotel shall be liable for its own fault or fault of its staff or the persons coming to or leaving the Hotel. The Hotel’s liability under Section 970 ABGB the Hotel shall be limited to the amount defined in the Federal Statute of 16 November 1921 on liability of innkeepers and other entrepreneurs as amended from time to time (currently EUR 1,100). If the Guest fails to immediately follow the Hotel’s request to deposit his/her items in a specific place (e.g. a safe), the Hotel’s liability shall be excluded. The Hotel’s liability shall be limited to the sum insured of the Hotel’s third-party liability insurance. Fault on the part of the Guest shall be taken into account and shall reduce the liability amount accordingly. 2. The Hotel shall be liable for valuables, money or securities only up to an amount of currently EUR 550. The Hotel shall be liable for additional damage only in the case that the Hotel took the property into custody and was aware of the quality of the same or in the case that the damage was caused by the Hotel itself or any of its vicarious agents. 3. The Hotel may refuse to take valuables, money or securities into custody if they are considerably more valuable than items usually deposited by Guests of the Hotel. 4. Liability for property taken into custody shall in any case be excluded if the Guest fails to report the damage that has occurred to the Hotel immediately after s/he got knowledge thereof. In addition, such claims shall be asserted by the Guest in court within three years of his/her knowledge thereof or possibility of getting knowledge thereof. 1. If the Guest is a consumer, the Hotel’s liability for slight negligence shall be excluded, with the exception of liability for physical injury. 2. If the Guest is an entrepreneur, the Hotel’s liability for slight or gross negligence shall be excluded. In that case the Guest shall bear the burden of proof regarding fault. No compensation shall be paid for consequential damage, non-physical damage or indirect damage or for lost profits. The damage for which compensation has to be paid shall in any case be limited to the amount of the damage incurred because the Guest has relied on the validity of the agreement (Vertrauensinteresse). 1. If the Accommodation Contract was concluded for a definite period of time, it shall end after the term stipulated in the Accommodation Contract. 2. If the Guest leaves early, the Hotel shall be entitled to demand payment of the total consideration agreed. The Hotel shall deduct the amounts saved due to services not used by the Guest or amounts earned by letting the booked Rooms otherwise. Savings shall only be deemed to be earned if the hotel was fully booked at the time the Rooms booked by the Guest were not used and if the Rooms can be let to other Guests because the Guest cancelled his/her reservation. The Guest shall bear the burden of proof regarding savings. 3. The contract with the Hotel shall cease upon a Guest’s death. (b) becomes afflicted with a contagious disease or a disease exceeding the period of accommodation or otherwise needs nursing care. (c) fails to pay the invoices presented when due. 5. If performance of the contract becomes impossible by an event that is to be considered an event of force majeure (e.g. acts of God, strike, lockout, official orders, etc. ), the Hotel may terminate the Accommodation Contract at any time without having to observe a period of notice of termination, unless the contract is already deemed dissolved by law or if the Hotel has been released from its duty to provide accommodation. Any claims for damages of the Guest in this connection shall be excluded. 1. The place of performance shall be the place where the accommodation business is situated. 2. This Contract shall be subject to Austrian adjective and substantial law and the rules of private international law (in particular the Austrian Statute on Private International Law [IPRG] and the Rome Convention) as well as UN Sales Law shall be excluded. 3. In the case of business-to-business transactions the exclusive place of jurisdiction shall be the Hotel’s registered office, with the Hotel also being entitled to assert its rights before any other court having local jurisdiction and jurisdiction over the subject-matter. 4. If the Accommodation Contract was concluded with a Guest who is a consumer and is domiciled or habitually resident in Austria, actions against the consumer may exclusively be filed at the Guest’s domicile, ordinary residence or place of work of such consumer. 5. If the Accommodation Contract was concluded with a Guest who is a consumer and is domiciled in a Member State of the European Union (except for Austria), Iceland, Norway or Switzerland, the court that is competent for the domicile of the consumer in the event of actions against the consumer shall have exclusive jurisdiction. 1. Unless the above provisions contain specific stipulations, a period shall commence upon service of the document fixing the period on the Guest, who shall observe the deadline. When calculating a period determined by days, the day on which the time or event occurs on which commencement of the period depends shall not be counted. Periods determined by weeks or months shall refer to that day of the week or month which according to its name or number corresponds to the day from which the period shall be counted. If the specific month does not include that day, the last day of that month shall be relevant. 2. Statements shall have been received by the respective other party on the last day of the period (midnight). 3. The Hotel shall be entitled to offset any of its claims against claims of the Guest. The Guest shall not be entitled to set off claims of the Hotel against his/her own claims unless the Hotel is insolvent or the Guest’s claim has been ascertained by court or acknowledged by the Hotel. 4. In the case of regulatory gaps the relevant statutory provisions shall apply. 1. The Hotel shall make wake-up calls ordered by the Guest with utmost care. Claims for damages shall be excluded, except in the case of gross negligence or wilful intent. 2. Messages, post or consignments for Guests shall be treated with care. The Hotel takes on delivery, custody and, upon request and against payment, forwarding of the same and, upon request, also of lost items. Claims for damages shall be excluded except in the case of gross negligence or wilful intent. The Hotel shall be entitled to deliver the items mentioned above to a local lost & found office after a maximum retention period of one month and shall be entitled to charge a reasonable fee. 3. Claims for damages of a Guest shall become statute-barred after a maximum period of three years after the damage occurred and the damaging party became known. 4. Modifications of or amendments to the Contract, the acceptance of the Reservation or these GTC shall be made in writing. Unilateral modifications or amendments by the Guest shall be ineffective. 5. If individual provisions of these GTC are or become ineffective or void, the effectiveness of the remaining provisions shall not be affected.